The Balcony of Elma is the solution you are looking for! Discover our holiday rental apartments on Lake Como, Italy! The apartments are located in Menaggio, an ideal base for exploring Lake Como and the surrounding mountains. Find out our holiday apartments rates and visit Lake Como in every season. Wir haben uns sofort wohl gefühlt. Die Wohnung kann uneingeschränkt empfohlen werden !! sehr gute Busverbindungen (Como, Luganer See), Bootstouren, Wanderungen (z.B via Regina) etc. My wife and I had a lovely week at this apartment. but don't forget to use the balcony to relax and enjoy the views over the lake. The family who owns it are extremely friendly and helpful. This was such a good choice for our visit to Lake Como. only a few minutes walk from the lakeside, town centre, gelateria and pizzeria even nearer. Luisella was very welcoming and friendly and was on hand to make sure everything was to our satisfaction. 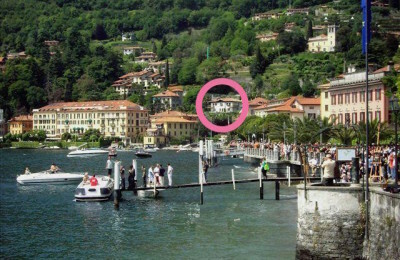 Menaggio is an excellent base if visiting Lake Como and we would definitely recommend this apartment. Do you want to spend your holiday on Lake Como?